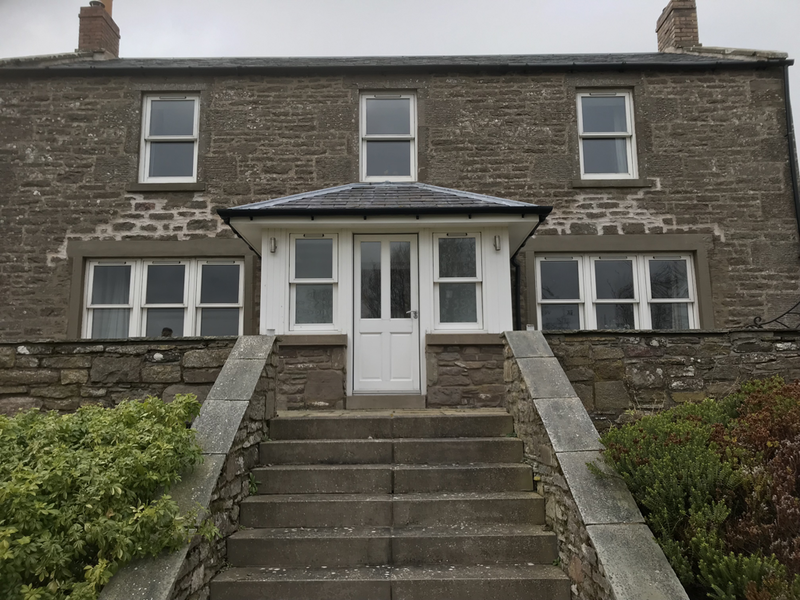 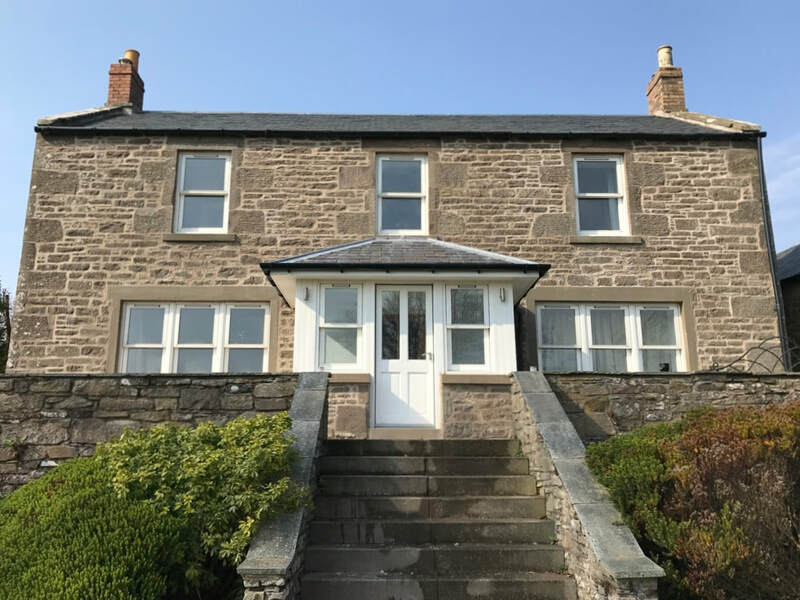 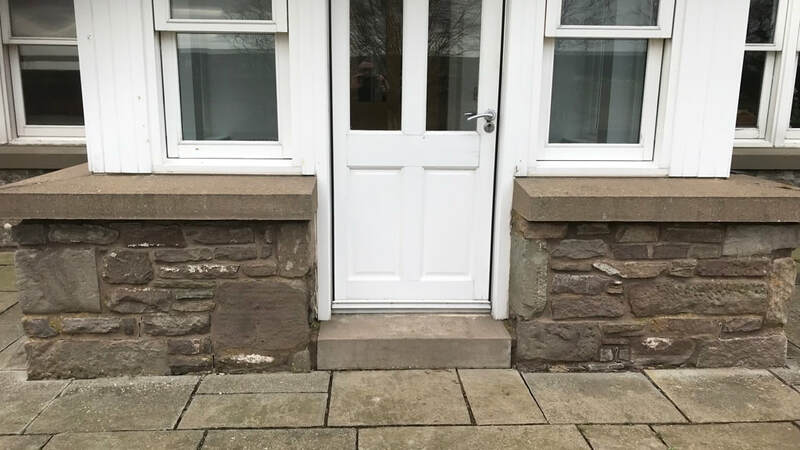 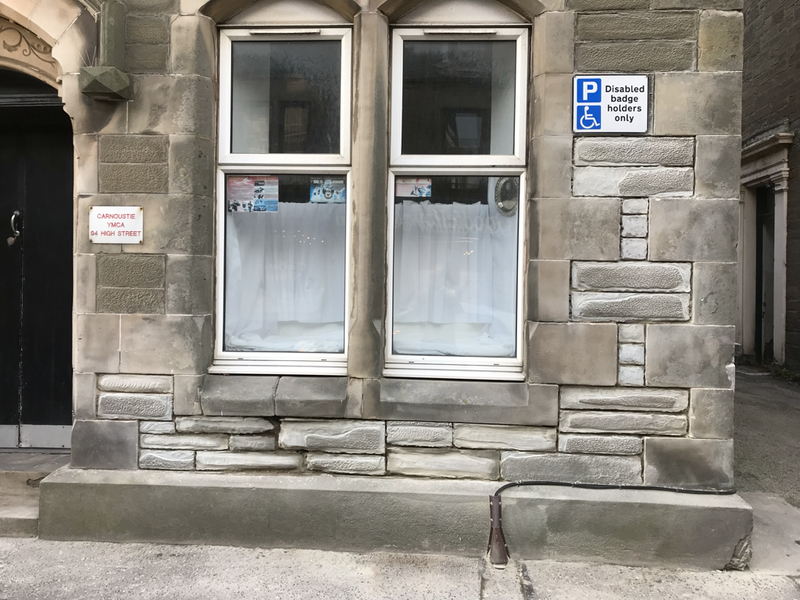 Extremely hard cement pointing was damaging the stonework of this sandstone farmhouse. 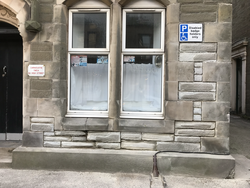 We carefully removed the cement and repointed in Lime and sharp sand, covered in hessian and cured for two weeks. 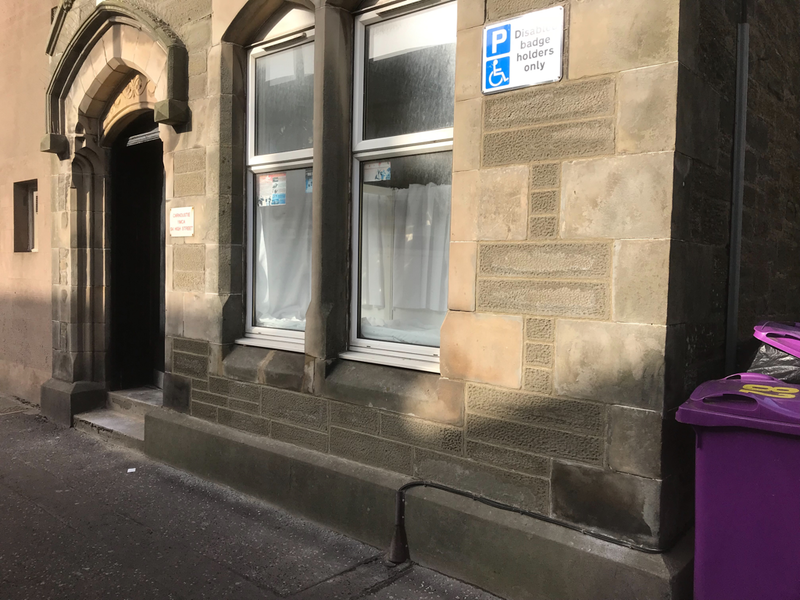 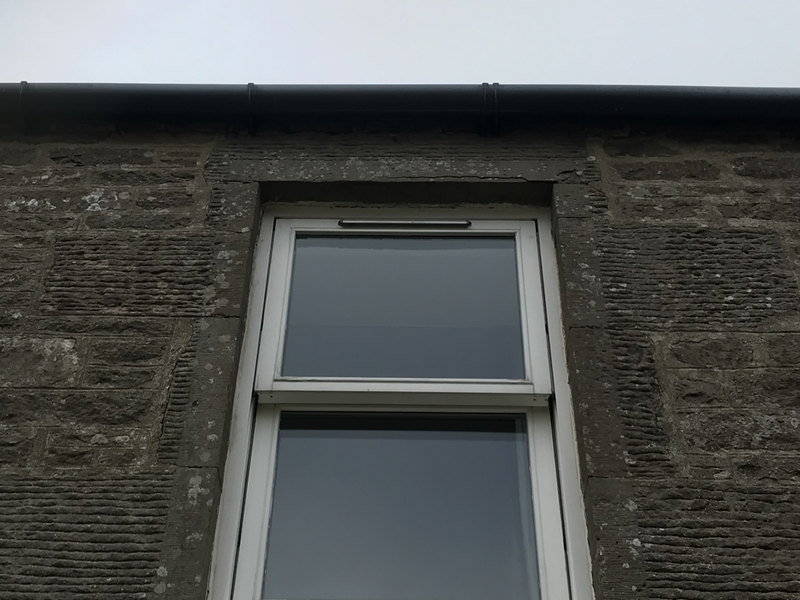 We also repaired two damaged lintels with colour matched Lithomex. 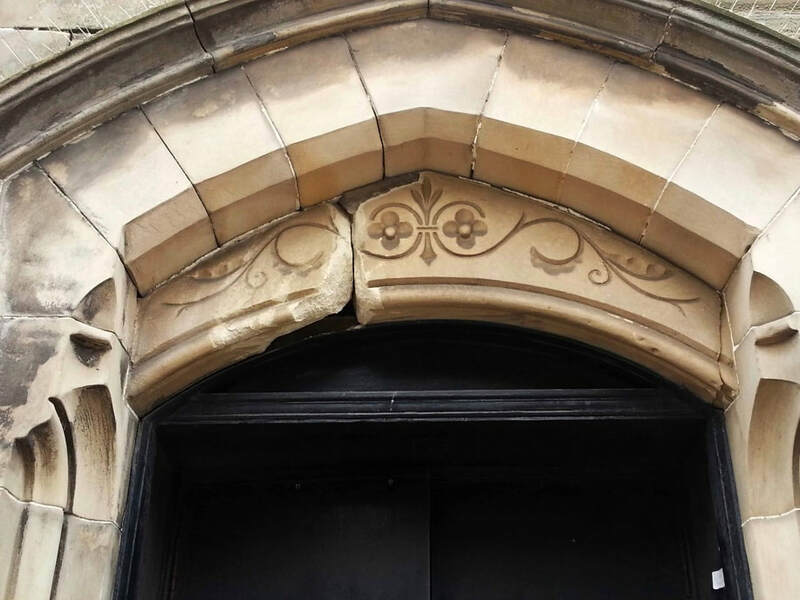 This decorative arched stone lintel had deriorated so much that it was in two pieces and in danger of falling. 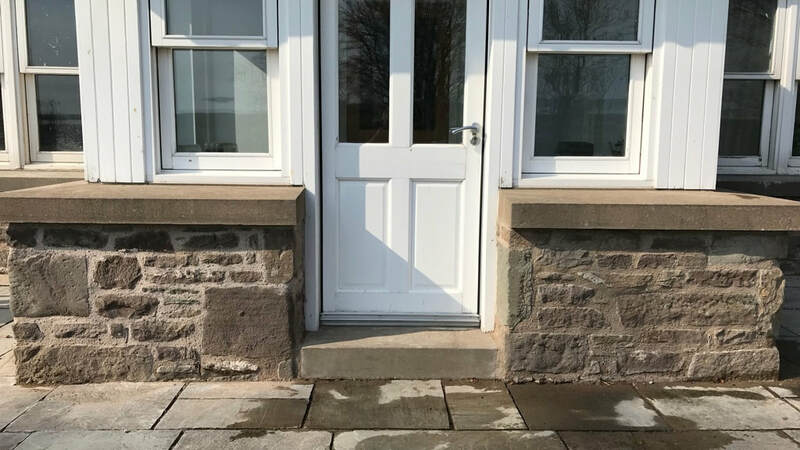 After careful realignment and reinforcement with resined, stainless steel rods it was coated with colour matched Lithomex. 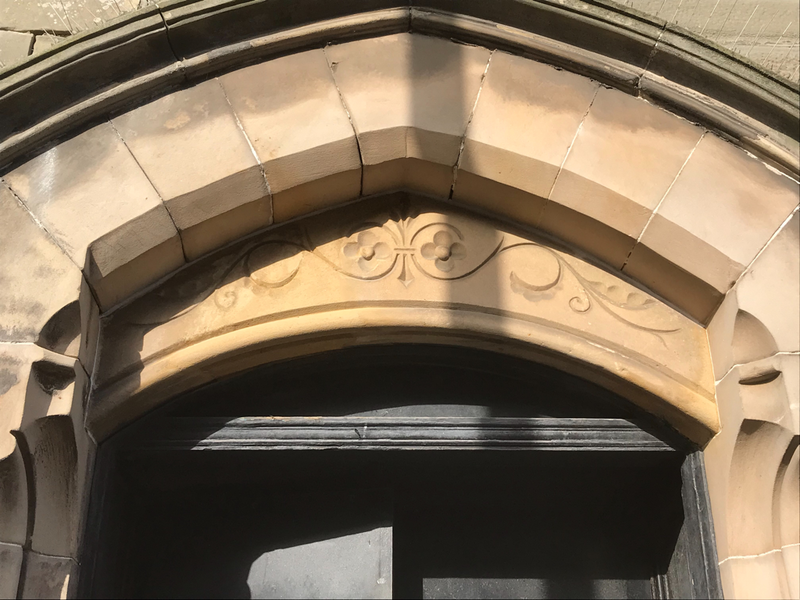 The moulding and carving were then reinstated. 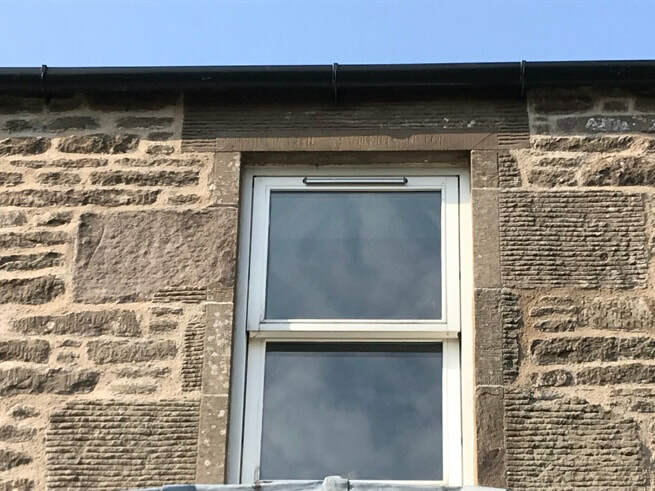 The stugged stonework had also eroded which we removed and then repaired and pointed to match the existing.